There's not much in the way of official statements on this one just yet, but itp.net is reporting that a recently pushed out update for all BlackBerry users on the UAE-based carrier Etisalat is not a "performance enhancement patch" as advertised, but rather some spyware that could potentially give Etisalat the ability to keep an eye on its customers' messages. The first suspicions about the update apparently arose when users noticed dramatically reduced battery life and slower than usual performance from their phones, which led to a bit of detective work from programmer Nigel Gourlay, who pegged the software down as coming from electronic surveillance company SS8. While it's not switched on by default, the software can reportedly let Etisalat flip the switch on phones one by one and monitor their emails and text messages -- or it could if it hadn't completely bogged down the network. Apparently, the software wasn't designed for such a large scale deployment, which resulted in the slowdown and battery drain as some 100,000 BlackBerrys constantly tried and failed to sign in to the one registration server for the software. 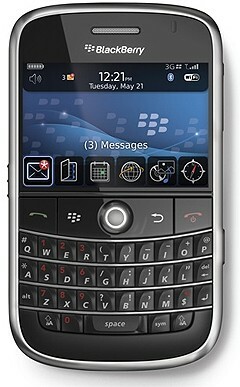 BlackBerry update in UAE reportedly surveillance software in disguise originally appeared on Engadget Mobile on Tue, 14 Jul 2009 16:59:00 EST. Please see our terms for use of feeds.